Calista Leah Liew: All-new Maggi Mi Goreng Media Launch! 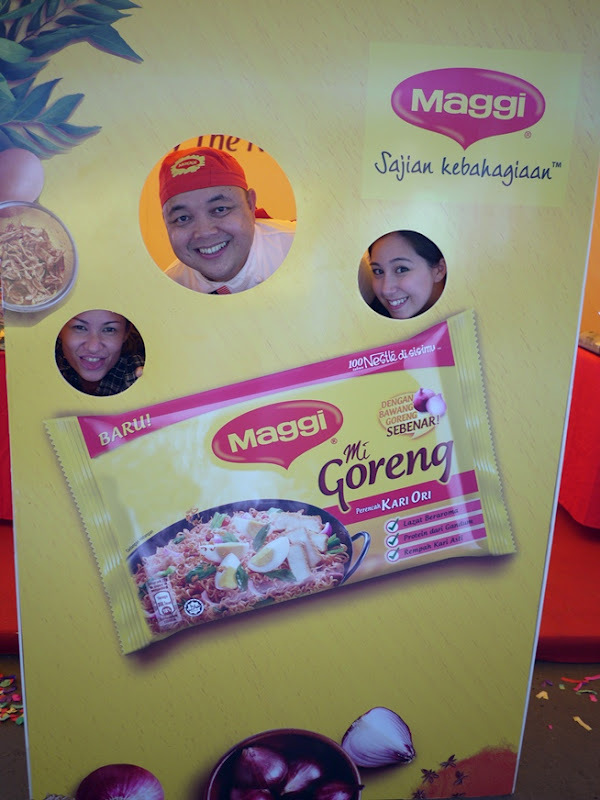 Last Saturday morning Melisa (of www.foodloh.com) and I were invited to the media launch of the Maggi Mi Goreng on behalf of Everyday Food I Love. Introducing the new Maggi Mi Goreng Kari Ori, the launch saw celebrity chef Chef Muluk, local singer Clarice John Matha and the finalists of Miss Scuba Sabah 2012 urging the crowd of Maggi fans to Rediscover Mi Goreng, while celebrating yet another way of enjoying the well-loved instant noodles. Held at Giant Hypermarket in Putatan, members of the media were treated to a short traditional performance, before Mrs Rosalyn Simba, the Head of Nestle Malaysia-Singapore Food Business Unit gave a short introduction speech, in which she told us that the first Nestle product in Malaysia is the Susu Cap Junjung! Wow! And I think most Malaysians still have this condensed milk on a regular basis, right? Nestle also has more than 300 other halal products that have become household names! L-R: Melisa, Mrs Rosalyn, Chef Muluk, Mr Taku and me! "The new flavour is made from a unique blend of spices and also comes with a garnish of real fried onions." 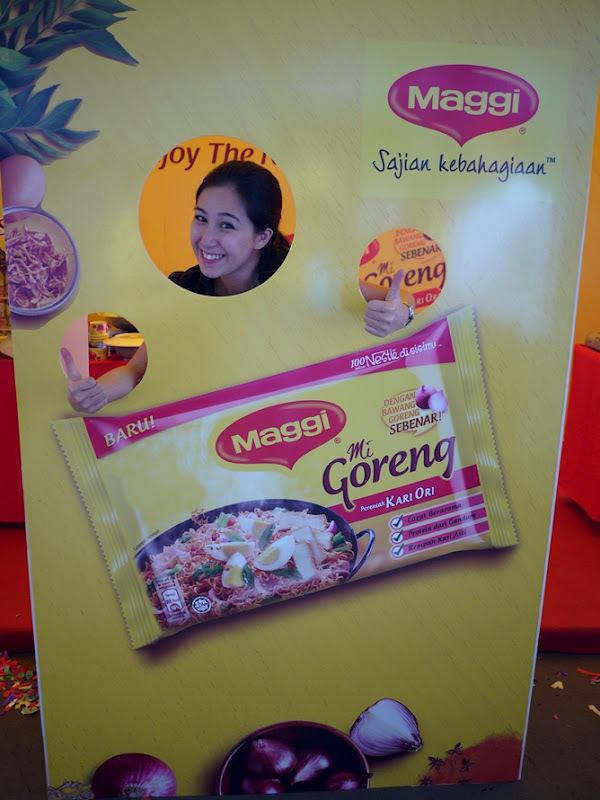 The launch was really interesting, combining the cultural dance with Maggi. It gave me the feeling of "Maggi, since the beginning of time". LOL. I know, hahaha.. But it was really cool, I really liked that they had the traditional girls with Maggi packets in their baskets, and one 'queen' being carried in on the bamboo sticks with a covered basket of mi goreng for Chef Muluk to cook on stage. Ta-da! Your lunch, ladies and gentlemen! Chef Muluk is originally from Sarawak, and has been a chef for 27 years. Currently Maggi's Executive Chef, he says that he never wanted to be a chef, but fell in love with cooking when he first put on his chef's jacket. 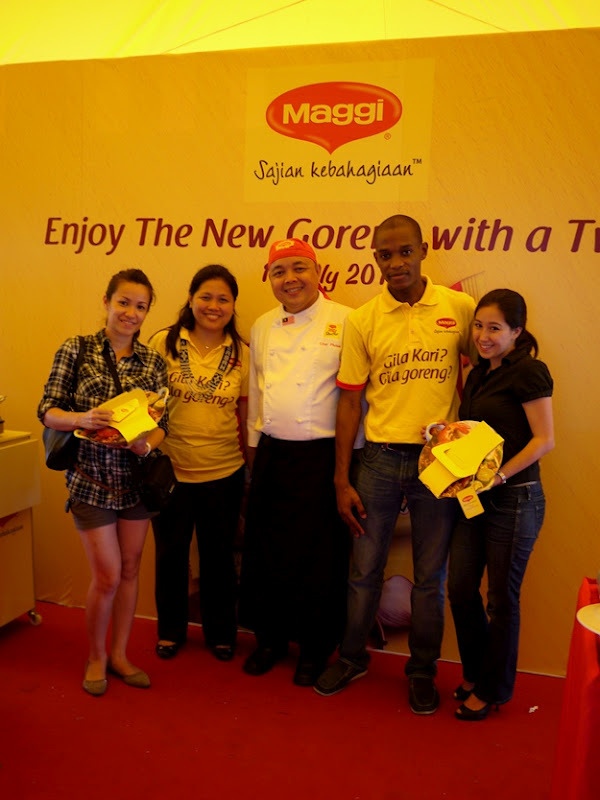 The creator of Maggi's new recipes, Chef Muluk has represented Malaysia in many overseas events, with the latest being in Beijing. He also judges students' cooking in various colleges and unis across Malaysia, such as Taylor's and our very own ATI. 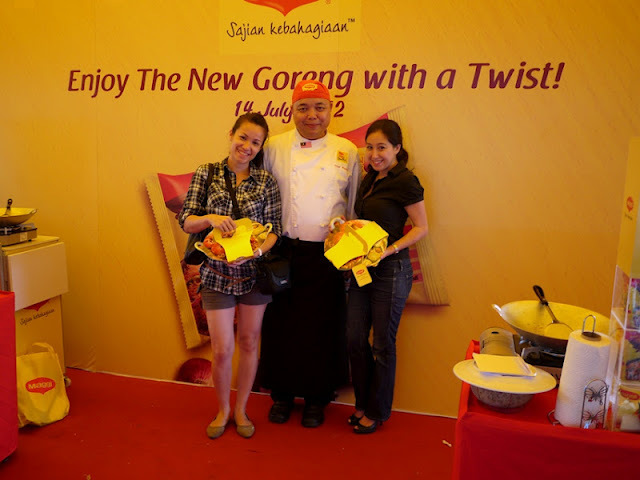 With Chef Muluk and our goodie woks! Not forgetting the finalists of Miss Scuba Sabah, 5 of the ladies were then brought on stage to do a little cooking demo at the Mi Stations. See? We can dive and cook! What more can you ask for? Mr Taku and Mrs Rosalyn! Yellowfish tuna in sambal sauce - courtesy of chef! And bread pudding with custard! 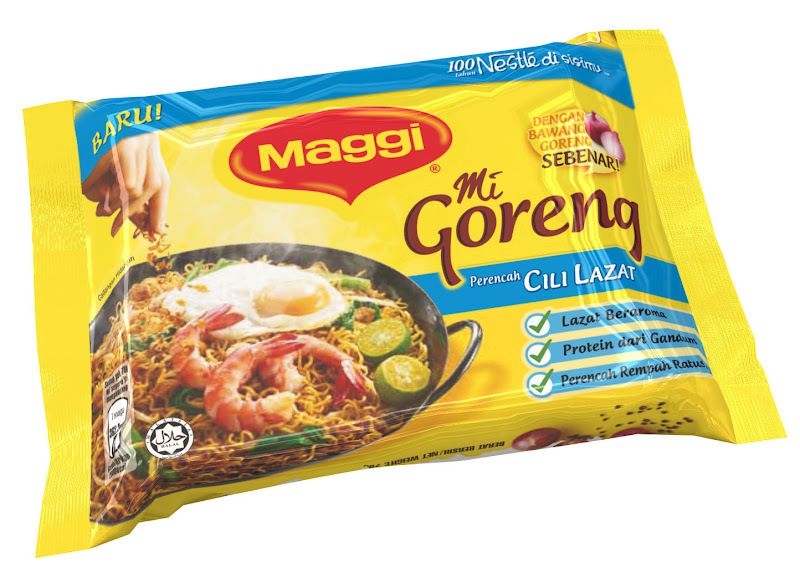 Trivia: Did you know that Malaysians consume 1.3 - 1.5 MILLION packets of Maggi mi every single day? Wow! With Chef Muluk. Hmm.. Melisa and I have tiny heads.. So what's your favourite flavour of Maggi mi? Drop me a comment! 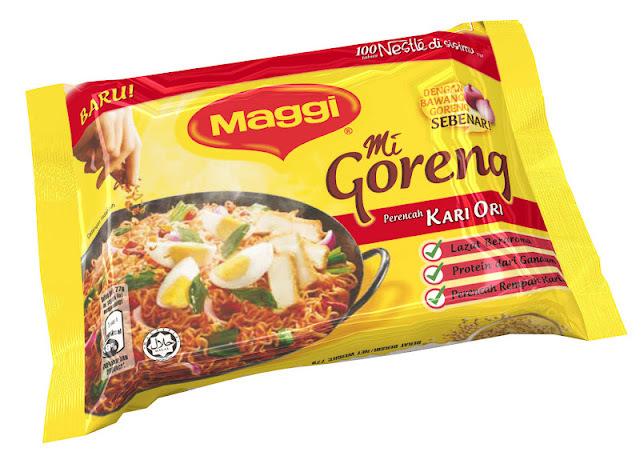 Woots new maggi in the town! AWESOME! Thanks for sharing! Welcome! Who can resist MORE choices for Maggi anyway? hahaha..
hi, it was an interesting post!